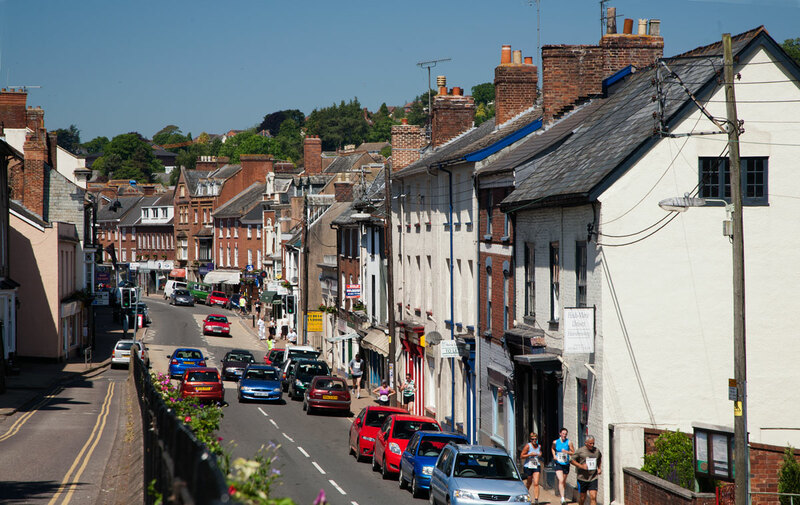 The historic market town of Crediton is convenient for both Dartmoor and Exmoor, and lies only seven miles from Exeter. It lies in the heart of an area of outstanding natural beauty and has a unique climate due to its position relative to Dartmoor. The town was the birthplace in 680 AD of St Boniface, the Patron Saint of both Germany and Holland, who was born Winfrith. Crediton lies in an area of fertile red land and has been a farming community for most of its history. In the 8th century land was granted for the foundation of a monastery. This was specifically to encourage the Roman Christianity adopted by Canterbury. Celtic Christianity from Ireland, Wales and Cornwall predominated in this area when St Boniface was born. The two forms of Christianity co-existed uncomfortably until the Bishopric of Crediton was founded in 909. 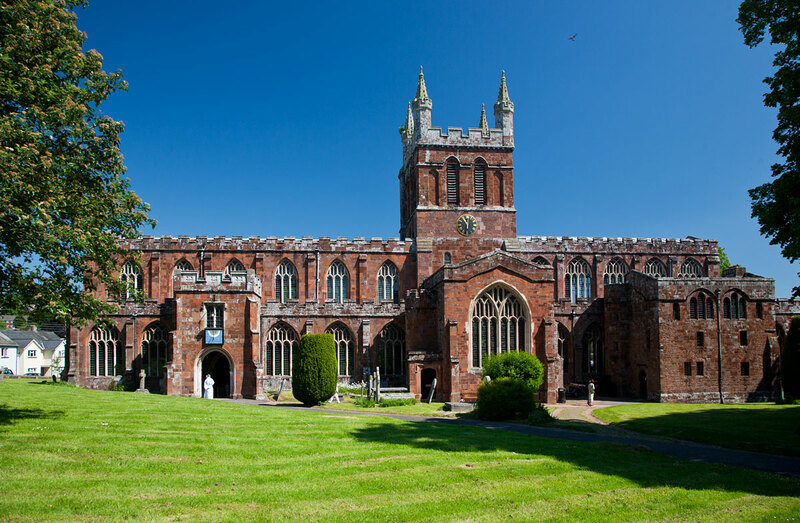 Although the See moved to Exeter in 1050, Crediton’s administration and land ownership was dominated by the Church until the 16th century. The main settlement, East Town, was to the east of the Church but as the town grew West Town was eventually populated. The Church of the Holy Cross was a Collegiate Church or Cathedral which owned the tithes of large pieces of land from which they received their income. The Bishop of Exeter also owned a huge park to the south of the Town. In the 15th century the Church began to lose its influence when some local families saw an opening for wider markets for rural products, particularly woollen yarn and cloth. These families gradually acquired influence over the running of Crediton. In the 16th century, the Collegiate Church was dissolved and in 1547 the citizens of Crediton bought the Church and right of tithes from the King. The Church building has since been administered by twelve governors representing the inhabitants and is worth visiting. The 16th century saw an enormous rise in the woollen cloth industry. Crediton manufactured fine serge cloth which was exported all over the world. Many householders had a looms, which were owned or hired from a clothier. Although most men were farm workers, many of them also worked these looms whilst their wives spun and their children combed and carded the wool. As the West Town developed, those who could afford to do so built houses fronting on the High Street. The poorer workers were housed in dwellings behind the grander houses. This led to the continuous series of courts, some of which still exist today. The East Town was largely a working area with few pretensions of grandeur. In 1743 a fire destroyed many 16th century buildings in the West Town and resulted in many newer Georgian buildings. By the end of the 18th century the woollen industry in Crediton was declining due to competition from elsewhere. This precipitated a switch to the leather industry and the growth of the boot and shoe industry. This led to more work being carried out in factories, although there some finishing work was still done in the home. During the Boer War, General Sir Redvers Buller of Downes House, Crediton led the Relief of Mafeking. His troops nicknamed him the People’s General and the people of the Crediton erected a statue of him by the clock tower in Exeter. There is also a memorial in the parish Church. This area claims to produce some of the best food in Europe. Many of our products are grown organically, and the farms produce high quality meat and game. Local cheeses, home grown beef and organic vegetables are found in the high street shops and farmers’ market. Around Crediton there are several dairies and creameries which are open to the public. There is a Farmers’ Market on the first Saturday of each month.